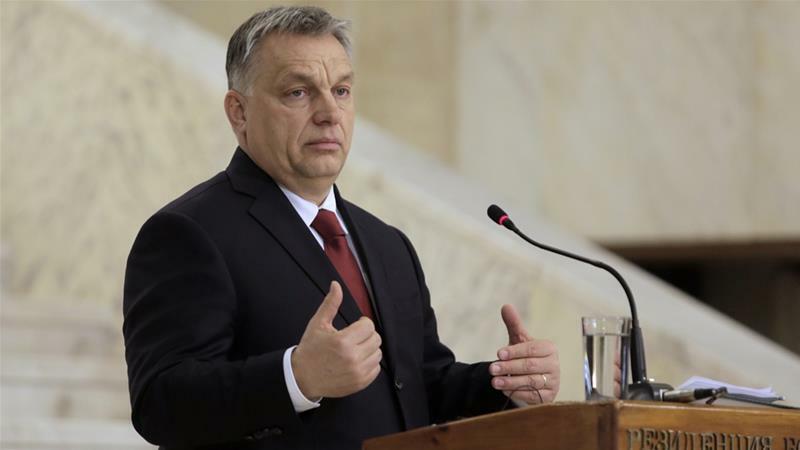 Hungary: Could election upset spell end for illiberal Orban? Hungary's ruling party Fidesz suffered a surprise loss in a mayoral race in an election that some viewed as a sign the ruling party could be defeated in April elections. Peter Marki-Zay, an independent candidate endorsed by the majority of Hungary's opposition parties, handily won Sunday's election in southern Hodmezovasarhely against Fidesz candidate Zoltan Hegedus, garneri ng 57 percent of the vote to Hegedus's 41 percent. Hodmezovasarhely has been ran by Fidesz since 1990, two years after the party was founded. For many in Hungary, the vote was a referendum on Fidesz corruption. Attila Vajnai, a left-wing politician from Budapest, told Al Jazeera, "The people of Hodmezovasarhely ... voted for the elimination of corruption" instead of Fidesz's far-right rule. The corruption is tied to high-ranking members of Fidesz in both Hodmezovasarhely and broader Hungary, Vajnai said. Janos Lazar, the man who has ran the office of Prime Minister Viktor Orban since 2012, is a former mayor of Hodmezovasarhely. He is currently embroiled in the "Elios" corruption scandal involving EU funds used to build public lighting in Hungary. 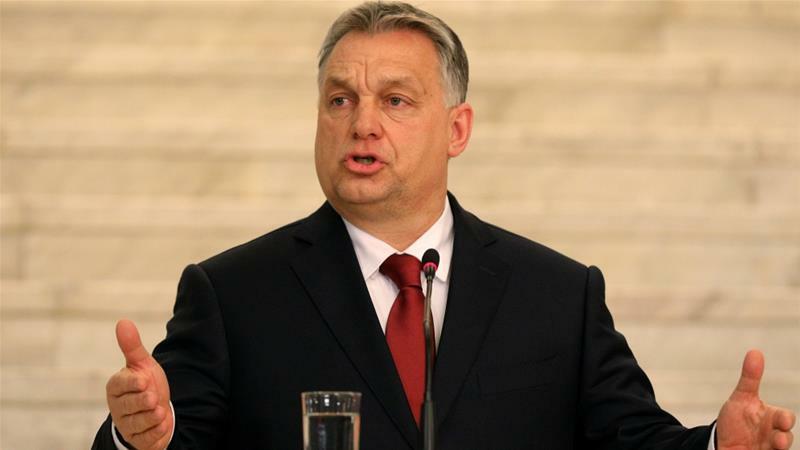 The scandal involves several Hungarian companies, including Elios, owned by Orban's son-in-law Istv an Tibocz, which made huge profits while installing subpar lighting in population centres across the country. An investigation by the EU's anti-fraud agency OLAF found Elios was selling parts for the lighting projects at up to 50 percent markups. OLAF has demanded that the EU commission retrieve 40 million euros (nearly $50m) in financing given to the Hungarian government for the project. "Corruption was fundamental in this election," Peter Kreko, director of the Political Capital Institute, a Hungarian think-tank, told Al Jazeera. Hodmezovasarhely was directly impacted by the scandal. Lighting in the city is inadequate for its residents, Kreko said. The Elios scandal and others impact voters across the nation, and discontent with corruption was enough to shield Marki-Zay from a smear campaign, analysts say. The mayor-elect lived in the US for years, so pro-Fidesz media painted him as an "A merican spy", Kreko explained. There were also attempts to link Marki-Zay to George Soros, the Hungarian-American billionaire that has drawn the ire of Fidesz for his funding of progressive causes and support of refugees. The Hungarian government has been accused of running an "anti-Semtitic" campaign against Soros. At the time of the election, bus stops and billboards across Hungary bore advertisements saying Soros wants to settle "millions" of Africans and Middle Easterners in the country. Still, the "Soros boogeyman" wasn't enough to stop Mark-Zay, who is a well-known figure in Hodmezovasarhely, Kreko said. After the defeat was announced, Orban said Fidesz must "fight harder" to win elections. Orban is credited with coining the term "illiberal democracy". His right-wing party often quarrels with Brussels on refugee-related issues and civil liberties. Fidesz is projected to win a majority of seats in parliament in the April 8 vote, but it could fall short of the numbers required to form a government on its own. Polls show Jobbik, a populist party that many consider far-right, coming in second. Hungary has more than 100 political parties and Jobbik, which called the results in Hodmezovasarhely "a slap in the face" for Fidesz, has only agreed to work in a coalition with three or four. If the opposition learns a lesson from the shocking upset, "corruption issues should be turned into easily understandable, local issues" for opposition candidates with broad support to champion, Kreko said. This strategy could stop Fidesz from winning a supermajority, or even enough seats to form a government. "If you have one serious candidate a gainst the Fidesz candidate, then victory is doable â¦ but Hungarian opposition parties are stubborn. You never know what they will do," Kreko said.